The Interlaken has been a favorite destination for affordable scrapbooking, quilting, garden clubs, religious and marriage retreats for over 110 years. Our facilities include dedicated gathering spaces, different styles of dining options, coffee breaks and full-service professional conference staff. 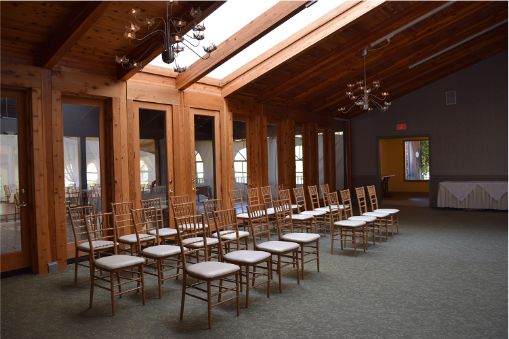 We host retreats of 5 - 125 people, and offer private, dedicated meeting and gathering rooms, packages that include most meals and breaks, truly comfortable double-occupancy guest rooms, and very competitive rates. not to mention, the Interlaken is set on the shores the beautiful Lake Wononscopomuc, which makes for a beautifully relaxing and restorative backdrop for your group retreat - no matter the season. With our extensive experience catering to parties of all sorts and sizes, and the wide variety of options among our packages, the Interlaken is a great place to come to for your next staff or group retreat.